The aim is to win the Pointless Trophy! Based on the witty and compelling BBC TV quiz show, this game brings all the best features straight from the television studio to your living room! New questions and your chance to have the infamous electronic scoreboard on your tablet, or smartphone, by simply downloading the FREE App. Experience the tension as you wait to see just how good your answer is! 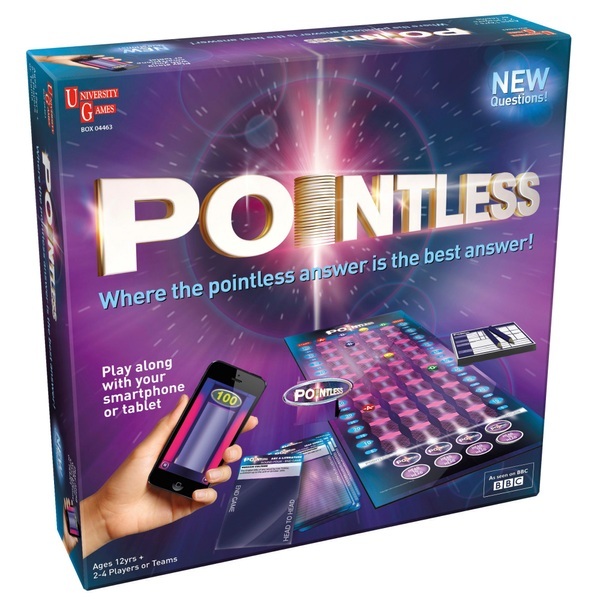 The App will keep records of your scores, stats and even who is the reigning Pointless Champion. It's a whole new way to replicate this top show in your own home!